WordPress Pokhara November Meetup 2017 Announced! 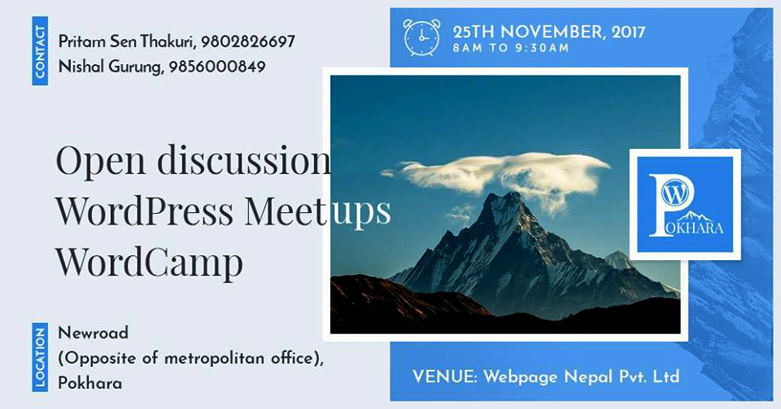 DevotePressPosted on November 21, 2017 November 22, 2017 Leave a comment on WordPress Pokhara November Meetup 2017 Announced! The next chapter of the WordPress Pokhara monthly meetups has arrived. The WordPress community of … Continue ReadingWordPress Pokhara November Meetup 2017 Announced! WordPress Pokhara October Meetup 2017 Announced! DevotePressPosted on September 11, 2017 September 11, 2017 Leave a comment on WordPress Pokhara October Meetup 2017 Announced! Good morning, WordPressers! 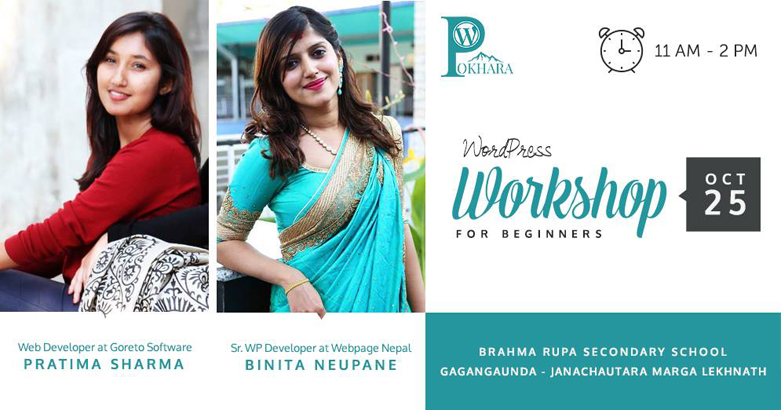 The WordPress community of Pokhara has announced its next meetup. WordPress Pokhara … Continue ReadingWordPress Pokhara October Meetup 2017 Announced! WordPress Kathmandu August Meetup 2017 Announced! DevotePressPosted on August 24, 2017 August 24, 2017 Leave a comment on WordPress Kathmandu August Meetup 2017 Announced! The next chapter of the WordPress Kathmandu monthly meetups has arrived. WordPress Kathmandu August Meetup … Continue ReadingWordPress Kathmandu August Meetup 2017 Announced! DevotePressPosted on August 9, 2017 August 9, 2017 2 Comments on WordPress Bhaktapur August Meetup 2017 Has Been Announced! Hello WordPressers! The next chapter of the WordPress Bhaktapur monthly meetups has arrived. WordPress Bhaktapur … Continue ReadingWordPress Bhaktapur August Meetup 2017 Has Been Announced!